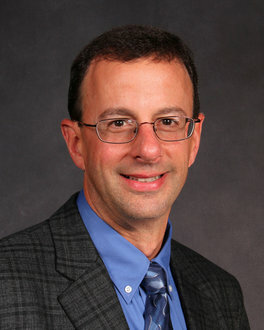 David Weil is Ithaca College's Associate Vice President and Chief Information Officer. Dave has held a number of positions throughout Ithaca College’s information technology organization. Prior to being named the AVP/CIO, he served as interim CIO for 10 months. Before that he was the Director of Engagement and Implementation, leading efforts to engage and interface with the campus, provide software as a service and other application implementation services, and offer business process improvement services. Prior to that, he was the Director of Enterprise Application Services, responsible for supporting the college’s main business and web applications. Over the years Dave has been involved in numerous aspects of technology services, including academic computing, student and faculty support, policy development and enforcement, Web development and system administration, vendor relationships and campus-wide technology planning. In addition, back in 1988 Dave was instrumental in establishing the college's Educational Technology Day, a regional technology show that over 1,600 people attend annually and is still running strong. Dave has a bachelor’s degree in computer science (business minor), and a master’s degree in communications (with emphasis on instructional design, teaching and learning with technology, instructional/corporate communication). He is also active in EDUCAUSE, and is a graduate of the EDUCAUSE Class of 2003 Frye Leadership Institute and the EDUCAUSE 2013 Leading Change Institute. Dave has presented at numerous conferences, and served on a number of committees, including the 2014 EDUCAUSE National Program Committee, the Security Task Force Policy and Legal Issues Working Group, and the Professional Development Advisory Committee. Dave is currently a mentor and content leader for the EDUCAUSE Senior Director Seminar, and is a member of the Enterprise IT content planning committee.